Golf can sharpen your mental skills. Get you much-needed exercise. Raise some money for your favorite charity. Teach life skills. Golf has never been hipper. That might not be saying much regarding a sport lorded over for centuries by stuffy officials in blue blazers and green jackets, but in the new millennium, Judge Smails from Caddyshack is fading as the stereotype of a golfer. You don’t have to spend all day at some hardscrabble municipal course dealing with slow players or invest all your savings in a private club membership to get the golf experience anymore. High-tech digital driving ranges like Topgolf have turned the game into a social, pub-entertainment experience that any group of friends can enjoy, regardless of skill level or gender. Short courses and elaborate putting courses are proliferating at world-class destination resorts that cater to bucket-list buddy trips. Since Tiger Woods burst onto the PGA Tour in 1996, the best golfers in the world have become regarded as such elite athletes that other major league superstars like Steph Curry, John Smoltz and Tony Romo aspire to become professional golfers in the next phase of their athletic careers. Participation studies show golf — particularly popular off-course options — is drawing a more diverse crowd than ever with the latent potential to alter the face of the game as its popularity grows. Golf might not rank up there with football, basketball and baseball as America’s favorite pastime, but there is one aspect of the game that leaves every other sport in its wake: charitable giving. Golf is a major driver in fundraising and charitable giving in America — to the tune of about US$3.9 billion per year, according to a recent study conducted by the National Golf Foundation. In 2015, roughly 12 million participants in 143,000 events at 12,700 golf facilities in the United States generated an average of $26,400 per function in charitable proceeds that benefited everything from youth to health to education to environmental causes. Meanwhile, the PGA Tour dwarfs all other professional sports organizations in charitable giving. In 2018, all the tours under the PGA Tour umbrella — which also includes the Champions Tour, Web.com Tour and minor professional tours in Canada, Latin America and China — generated a record $190 million for more than 3,000 charitable causes. Kiwanis clubs around the world know the power of a golf tournament for fundraising efforts. 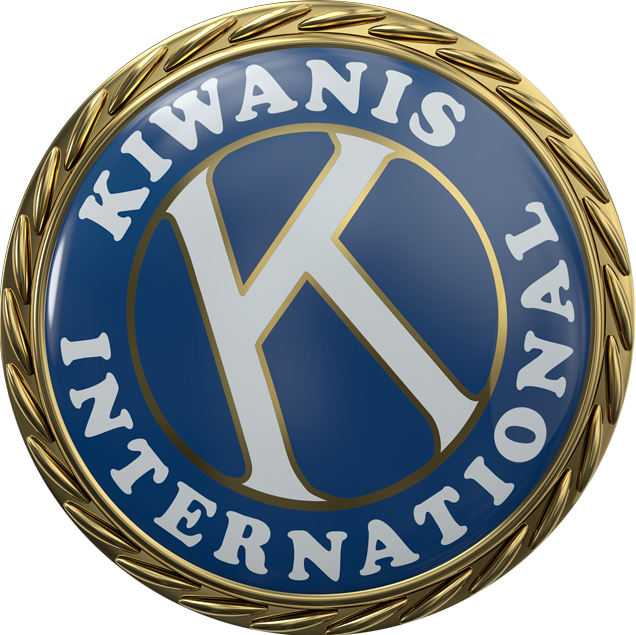 At the end of this article, you’ll find a small sampling of Kiwanis golf projects. The PGA Tour’s all-time charitable giving surpassed $1 billion in 2005, $2 billion in 2014 and currently stands on the brink of crossing $3 billion this year with its total already reaching $2.84 billion. “Through the world of golf, the PGA Tour and its tournaments — backed by its network of volunteers — drive positive impact at unprecedented levels to support and improve local communities,” says Jay Monahan, the PGA Tour commissioner. Professional golf’s impact doesn’t stop there, with many male and female pros establishing their own foundations to benefit their home communities. We see individual examples of this every year, such as LPGA star Stacy Lewis winning for the first time in three years and donating her entire $195,000 winner’s check to Hurricane Harvey relief in her adopted home state of Texas. “We’re going to be able to help people rebuild houses and get their homes back, and that’s more important than any win,” Lewis said after her 2017 victory in the LPGA’s Cambia Portland Classic. PGA Tour veteran Kevin Kisner and his wife established the Kevin & Brittany Kisner Foundation in their hometown of Aiken, South Carolina, to benefit local organizations that promote children’s fitness, health, education and opportunities to participate in sports. Kisner’s second annual “Clays, Greens and Strings” outing and concert at Sage Valley Golf Club included fellow tour pros Justin Thomas, Zach Johnson, Stewart Cink, Brian Harman, Luke List and Kevin Mitchell and generated more than $200,000 to support kids in the Aiken/Augusta area. If you’re just starting out and are serious about taking up golf as a hobby, the first thing to know is: DO NOT try to learn how to do it from a magazine. The most important tip you can start with is seeking out a local professional for a lesson on the basics of how to grip the club, address the ball and take a swing. Trying to develop those fundamentals on your own is a recipe for creating bad habits and a lifetime of regret on the golf course. Once a knowledgeable set of eyes points you down the right fairway, feel free to figure out your own unique way of navigating the game for the rest of your life. Here’s the No. 1 piece of advice courtesy of Jack Nicklaus, the greatest champion in the history of golf with a record 18 major titles. Want in the game? Here’s golf writer Scott Michaux’s blueprint to get started. Step 1: If you’re near one of the 48 Topgolf facilities (above) in 27 states (with plans to expand into Canada), check it out with friends. Topgolf provides everything you need in a pressure-free atmosphere to see if you have a taste for the game. Step 2: You’ll need clubs, and chances are you have friends with extra used sets gathering dust in their garages. Their spouses will thank you for re-purposing the clutter. Step 3: Do not immediately spend money on expensive name-brand balls the pros use. Until you’re capable of getting it to do what you want it to, any discount ball will be fine. You’ll find plenty of nice lost balls along the way. Step 4: Buy shoes with soft spikes. Whatever pair you choose, make sure they’re comfortable enough to walk in for 18 holes. And please walk instead of using a cart; it’s better for you and for your concentration. Step 5: Find a public course with a driving range and a professional who can teach you the basics. The only thing that will make you better is practice, practice, practice. A regular group of peers will make it more motivating and fun. Step 6: Wear out the practice putting green. It’s free. The biggest improvement beginners make is saving strokes on and around the green. Frequent putting and chipping contests with friends will make you better. If you want a different kind of bucket list beyond the world’s top-ranked courses, here are some suggestions for a unique grand slam. Highest: Yak Golf Course (13,025 feet) in India is certified by Guinness as the highest-altitude 18-hole course, but La Paz Golf Club (10,695 feet) in Bolivia is the best-kept and most accessible course above 10,000 feet. Lowest: Furnace Creek Golf Club in Death Valley, California, sits 214 feet below sea level. It’s recommended to play in winter, when the temperature doesn’t reach the peak 130 degrees (Fahrenheit) of summertime. Coldest: Uummannaq in Greenland, 500 miles north of the Arctic Circle, hosts the annual World Ice Golf Championship, where hazards include icebergs, polar bears and sub-zero temperatures. Northernmost: Tromso Golf Club in Norway (69°) and Akureyri Golf Club in Iceland (65°) both stake claims to being the most northerly 18-hole courses where you might play on real grass. You can certainly tee off at midnight and play round the clock at both. Southernmost: Ushuaia Golf Club at the tip of Tierra Del Fuego, Argentina, is as close as you can get to Antarctica and play golf on grass. Hopefully when you go, the bridge to the course won’t be washed out by floods, and four of the nine holes won’t be covered by the river that runs through it. Barest: La Jenny Golf in Aquitaine, France, is the world’s only naturist golf course, where the dress code requires nothing at all. This six-hole course will expose all aspects of your game and everything else. Bring lots of sunscreen. The most inviting aspect of golf is its venues. No offense to Lambeau, Wrigley or Cameron Indoor stadiums, but the most beautiful sports arenas in the world are golf courses. Anyone who’s been to Augusta National, Pebble Beach or St. Andrews can attest to that fact. Golf course architecture is in the midst of a new golden age. The real estate model that drove new course development for decades has been abandoned since the 2008 recession. New destination resorts with multiple outstanding courses are drawing golf aficionados to remote places like Bandon, Oregon (Bandon Dunes); Nakoosa, Wisconsin (Sand Valley); Streamsong, Florida (Streamsong); Cape Breton, Nova Scotia (Cabot Links) and Bridport, Tasmania (Barnbougle Dunes). The ultimate cult favorite for the budget-conscious golfer, however, is a nine-hole course 25 minutes outside of Chattanooga, Tennessee, called Sweetens Cove (above). Since it opened as a “hand-crafted” labor of love remodel in 2014, Sweetens has drawn universal rave reviews for its fun and imaginative design and low US$25 greens fee ($60 for all-day walking play). It was designed and built by Rob Collins, who mortgaged everything he had to take over the lease in the midst of the $1 million project. Collins and his design partner, Tad King, operate on the principle that “people had been building golf courses completely wrong for years.” They’ve done it right, getting ranked No. 50 in the latest Golfweek Top 100 Modern Courses in America, ahead of major venues such as Hazeltine, Quail Hollow and Valhalla. Sports psychologist Bob Rotella wrote the book “Golf is Not a Game of Perfect,” because the slogan “golf is a game of failure” was counterproductive in motivating clients. Golfers constantly fail — to hit the right shot, to make the right decision, to win tournaments. Learning to handle failure allows the best golfers to find success. Charles Howell III is one of the best golfers in the world. Coming off winning the individual NCAA title at Oklahoma State in 2000, he turned pro and was heralded as the next great golfer in the post-Tiger Woods era. He won a PGA Tour event in 2002 and was ranked as one of the top 20 players in the world. By the start of 2018, however, Howell had played more than 500 professional events and won more than $35 million, yet he only had two career victories — the last in 2007. He’d finished runner-up 17 times and third nine more in his career — each near miss cutting a little deeper. Scott Michaux has been covering golf since Tiger Woods won his first Masters Tournament in 1997, including the past 18 years as the sports columnist at The Augusta Chronicle. Chronicling the game has done nothing to improve his 15 handicap. As he approached 40 with two growing kids of his own, Howell gradually stopped defining himself by his golf results. Meanwhile, successive waves of young superstars joined the tour and pushed him further down the pecking order. In November — 4,292 days (11 years, 9 months) since his previous win — Howell birdied the second playoff hole in the RSM Classic at Sea Island, Georgia, to end his drought and earn him a spot in his hometown Masters Tournament for the first time since 2012. All the emotions and doubts if he could ever win again poured out of him as his family ran onto the green to embrace him. For the past 18 years, the club has held an annual golf outing at North Shore Country Club to raise money to support scholarships for high school students, children’s camps, the Young Adult Institute and one of the club’s ongoing projects: pediatric trauma kits. In 2017, the club donated its 406th pediatric trauma kit to the Merrick Fire Department. Community members get a chance to connect with VIPs on the golf course at the Carnaval Miami festival. The tournament benefits Kiwanis Little Havana Foundation scholarships. Proceeds benefit four-year college scholarships awarded every year to students who otherwise would not have the opportunity of a higher education. A new event for the club, this charity golf tournament benefits Children’s Miracle Network and a scholarship fund aimed at college-bound seniors in the Las Vegas Valley. Kiwanis Club of Zürich am Stampfenbach, Switzerland, organizes the Swiss Kiwanis Championship, which is open to members and nonmembers, to raise money for projects that serve children. This story originally appeared in the April/May 2019 issue of Kiwanis magazine.